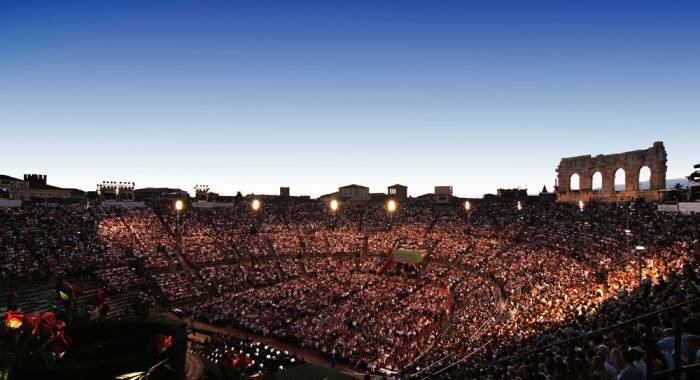 Great titles and monumental displays characterize the 97th Verona Arena Opera Festival 2019, staged for 49 evenings in the spectacular setting of the Verona amphitheater from 21 June to 7 September 2019. 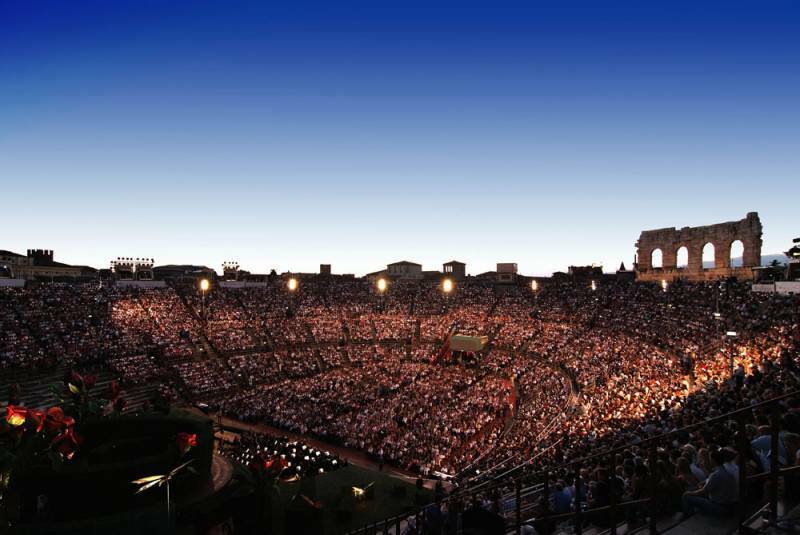 The lyrical festival will involve great international artists along with the artistic and technical complexes of the Arena di Verona Foundation and the many mimes and figures. A new production of La Traviata, the most famous and well-known opera in the world, will inaugurate the 2019 Festival, which features four other pillars of the great Arenian repertoire: Aida and Il Trovatore, masterpieces of Giuseppe Verdi as the inaugural title, followed by Carmen by Georges Bizet and Tosca by Giacomo Puccini. There are two special evenings, Plácido Domingo 50 Arena Anniversary Night dedicated to one of the greatest performers of our time celebrating 50 glorious years of career in the Arena, and the famous Carmina Burana by Carl Orff who return to enrich the program of a unique Festival world. For this summer event you can book one of the eleven magnificent rooms of our Relais B & B Otto Ducati d'Oro, located in Isola della Scala, a few kilometers from the center of Verona, perfect place to relax after an evening at the Opera. The magic of the scenographies of the Arena reverberates in the natural scenography of the Verona countryside, the ideal environment to rest and focus on wellbeing after the emotions of the stage. Do not hesitate to contact us to book your room for the Arena Festival right now. Bella struttura, ottima pulizia e comfort delle stanze, colazione non esagerata ma molto curata e personale gentile.